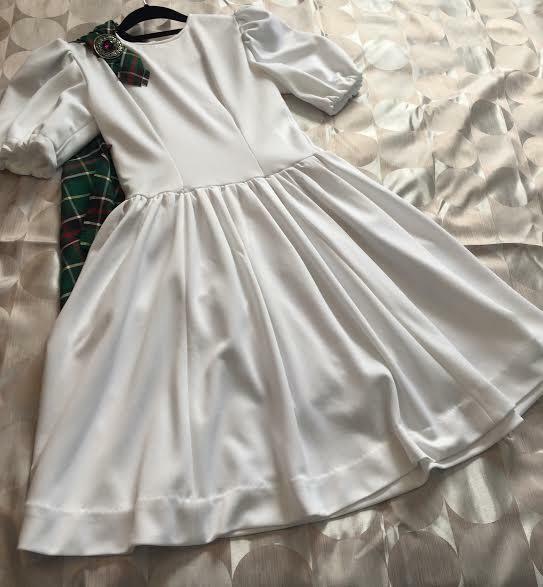 dance.net - White National dress with Newfoundland tartan (10245326) - Read article: Ballet, Jazz, Modern, Hip Hop, Tap, Irish, Disco, Twirling, Cheer: Photos, Chat, Games, Jobs, Events! Measurements taken across the front while dress was laying flat. 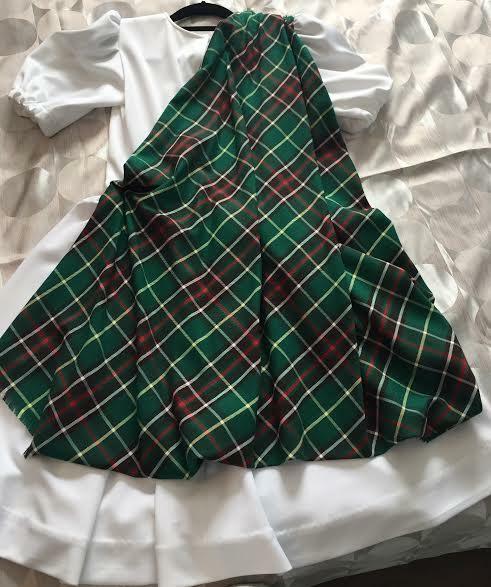 Length from shoulder to hem- 37"
Asking $85 +shipping from Newfoundland, Canada.